With today’s health-conscious society, more people want to enhance the quality and taste of their drinking water by installing a good water filter in their home that will remove bacteria and other harmful contaminants. Using high-quality water filters is the most convenient way to have access to great-tasting water that is free of harmful pollutants and chemicals. And it is also far less expensive and more ecologically friendly than purchasing countless plastic water bottles. Some of these filters clean and purify the water coming straight out of the kitchen sink faucet. Others filter the water and ice dispensed by our refrigerators, like the GE Smartwater filter line of refrigerator filters. GE Smartwater filters are some of the best refrigerator water filters on the market today, guaranteeing clean, fresh-tasting water, and ice cubes for the entire family. Read on as we explore some of their main features. 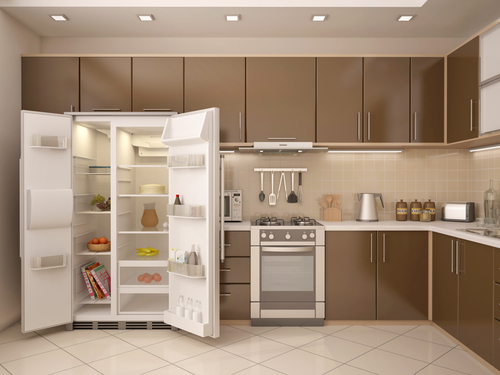 General Electric is one of the top manufacturers of refrigerators, and their water filters are specifically designed to clean and purify the water and ice dispensed by GE refrigerators. When replacing an existing GE refrigerator water filter with a GE Smartwater filter, you will find a round, white-colored plastic filter mounted at the rear of the unit above the top shelf. Remove the old filter, and the GE Smartwater filter will fit seamlessly into place. The water tastes great, and potentially healthy and beneficial minerals, such as fluoride, are left behind while removing chemicals and contaminants. The GE Smartwater filter was specially designed and tested to eliminate many harmful pollutants from your water, including the taste and odor of chlorine, lead, mercury and other heavy metals, giardia and certain parasites, and the many trace pesticides and pharmaceuticals that have made their way into our water supply. This water filter is certified by the National Sanitation Foundation (NSF), an accredited, independent third party that tests and certifies products to ensure they meet public health and safety standards. It also comes with a 30-day warranty. This filter comes with clear instructions that make its installation and removal very straightforward, and there is no leakage during the process. With its compact size, it weighs in at about one pound, and with dimensions of 11 x 2 x 2.4 inches, it is easy to access and manage. The lifespan of a single GE Smartwater refrigerator water filter cartridge is six months or the successful filtration of 310 gallons of water. However, if you notice the flow of water has decreased, you should replace it sooner. Which is the best GE Smartwater Filter for you? This brings us to the question of what GE Smartwater refrigerator filter is the right one for you and your family. 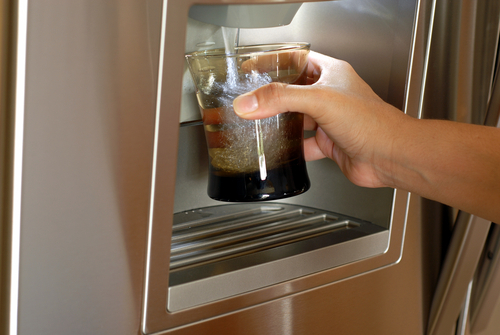 When purchasing a water filter, only purchase new, genuine refrigerator water filters that are compatible with your GE refrigerator. This doesn’t mean you have to buy them from the manufacturer. You can purchase them directly online at great prices. 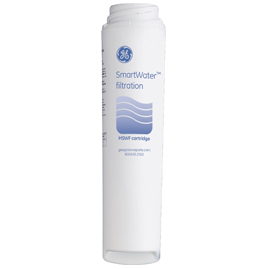 · GE SmartWater RPWFE Replacement Water Filter: This model fits almost all GE refrigerators that have a long, round, white-colored plastic twist-and-lock filter. It effectively eliminates most common contaminants from your fridge's water supply, and with its long lifespan (six months or 300 gallons), is economical as well. Its size is 8.25 x 2.25 inches — with such a compact water filter, installation, and removal are a breeze, too! • GE MSWF SmartWater Refrigerator Water Filter (3 Pack): The GE MSWF model will leave your refrigerator-dispensed drinking water and ice crystal clean and pure as a mountain stream. NSF certified, it removes all the common contaminants and sediment, and with its long lifespan (six months before it needs to be replaced), it is cost effective as well. This particular product comes with three filters, which means 18 months before you need to go out and buy a replacement. Dimensions: 8.25 by 2.25 inches. • GE MWF SmartWater Replacement Refrigerator Water Filter Cartridge (2 Pack): The MWF refrigerator water filter is another fine offering from General Electric. It combines efficient and comprehensive filtering that covers all major contaminants, with longevity of performance up to six months or 300 gallons before you start to notice a deterioration in its performance. It, too, is NSF certified. Dimensions: 8.25 by 2.25 inches.